Only 90 miles from Florida, Cuba has long been a source of fascination for Americans. The country’s proximity combined with nearly six decades of travel restrictions created a romantic myth around the Pearl of Antilles for many living in the United States. Cuba travel in 2018 for Americans is legal...and fun. Photo credit: Ciara Johnson. When President Barack Obama rolled back regulations in 2014, making it legal (and easier) for Americans to visit the country without a tour group, there was an expectation of the floodgates opening for Yankee visitors. Major airlines worked for years to hammer out contracts allowing commercial flights while companies like Airbnb scrambled to ramp up Cuban inventory on their website. And by many counts, tourism was up. In 2017, 600,000 American travelers (without Cuban family ties) visited the nation, which is more than six-times the pre-Obama level. 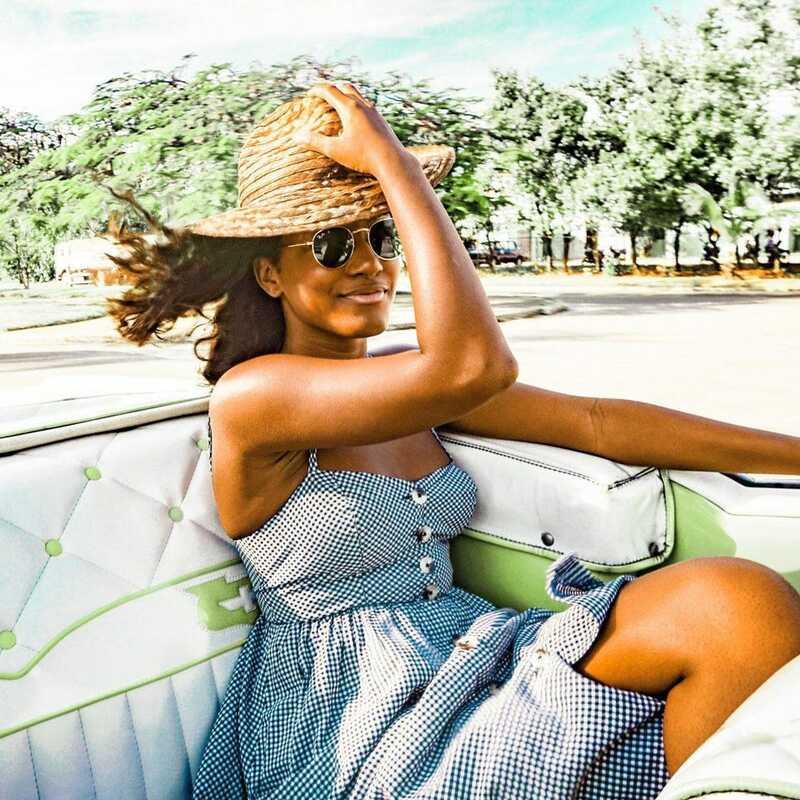 But after new financial restrictions on U.S. travelers, as well as the elimination of individual “people-to-people” travel by the Trump administration, many Americans are confused about if, and how, they can travel to Cuba. Alleged sonic attacks against the American embassy is adding to the general bewilderment. However, according to experts, not much has changed for Americans interested in Cuba travel. Individual travelers are still able to visit the country for the purpose of supporting the Cuban people. Here’s how. 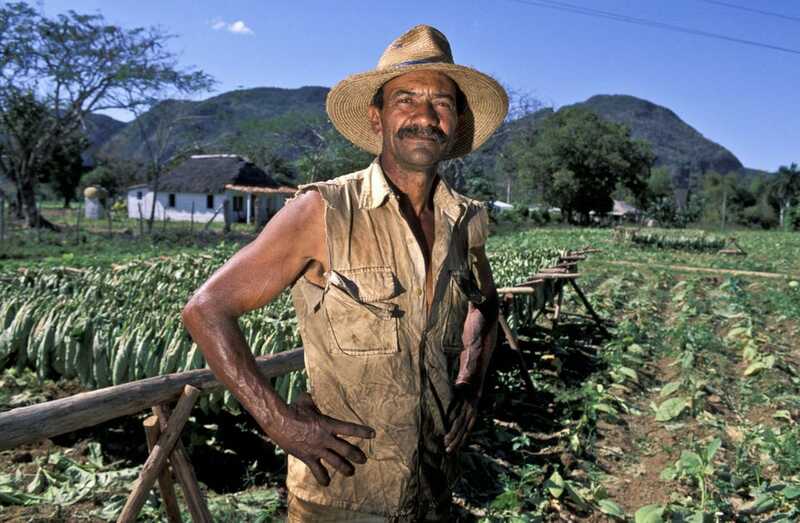 Visiting Cuban tobacco farmers would fall under "support for the Cuban people," which is one of the 12 categories of authorized travel for Americans traveling to Cuba in 2018. Photo credit: Classic Journeys. In practical terms, this means creating an extensive itinerary that complies with regulations and documenting your trip while you are visiting the country, in case you are asked by the American government for receipts. A key component of “support for the Cuban people” is interacting with locals, so include activities that provide genuine interactions. Think salsa classes, instead of beach days. Following the Trump administration’s tightening of economic embargo against Cuba, many travelers report that the most difficult aspect of their trip is making sure that they do not spend money at a business with ties to the military. Although they run many hotels in the country, as well as transportation services, it is possible to only spend money at establishments run by Cubans citizens, if you do your homework beforehand. Touring Havana in an old car is a classic Cuban experience for American travelers. Photo credit: Ciara Johnson. Ciara Johnson, the 25-year-old American travel blogger behind Hey Ciara, visited the country in December 2017 and then again in February 2018. Between her two visits, the American regulations had changed. Traveling under “support for the Cuban people,” Johnson designed a trip that followed the new rules. 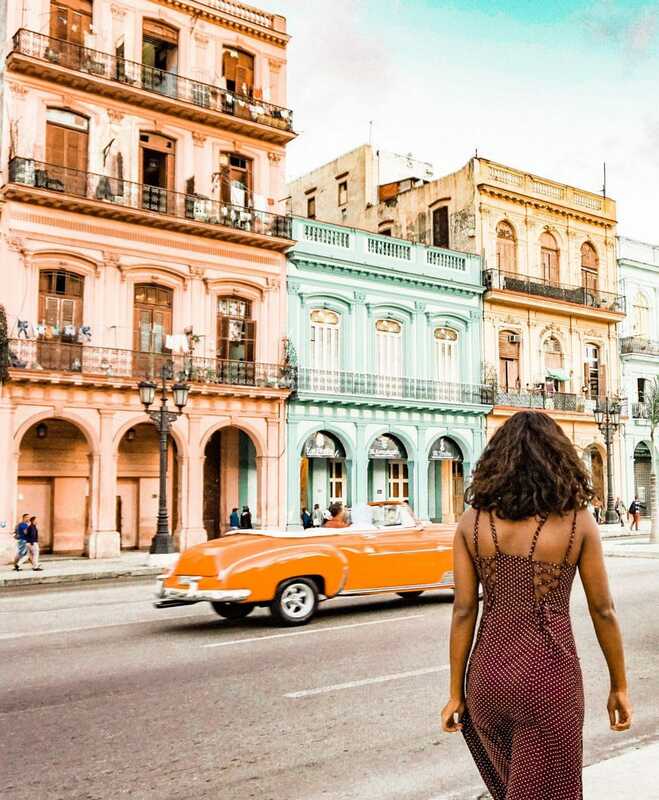 She opted for two days with the tour operator Cuba Candela and then 12 days of exploring on her own. 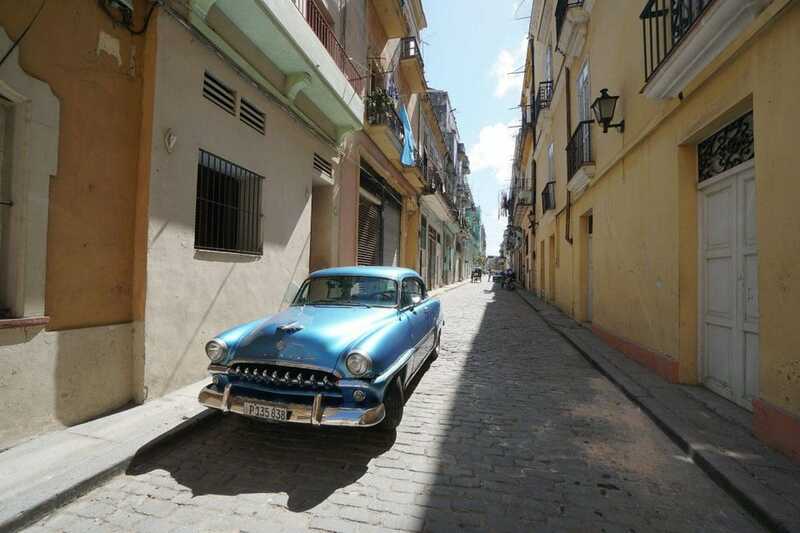 Her itinerary featured a variety of activities from cooking classes to salsa lessons to touring Havana in an antique car. Many backpackers in Cuba point to their casas particulares, or home stays, as the best aspect of their visits. This also complies with the new financial regulations for American travelers, as the money goes directly to Cuban citizens rather than the military. Although you are still a visitor, staying with a local offers a glimpse of life on the island beyond what you would see in a hotel. “If they have a blackout, you’re going to live the blackout. Those don’t happen in hotels,” said Juan, a 24-year-old Cuban who works in the hospitality industry. Travel blogger Ciara Johnson's favorite part of her recent Cuba travel was staying at a casa particular. Photo credit: Ciara Johnson. “Because of the historical and cultural differences, staying in a family home you are able to see the culture in a way you wouldn’t otherwise,” says Johnson. 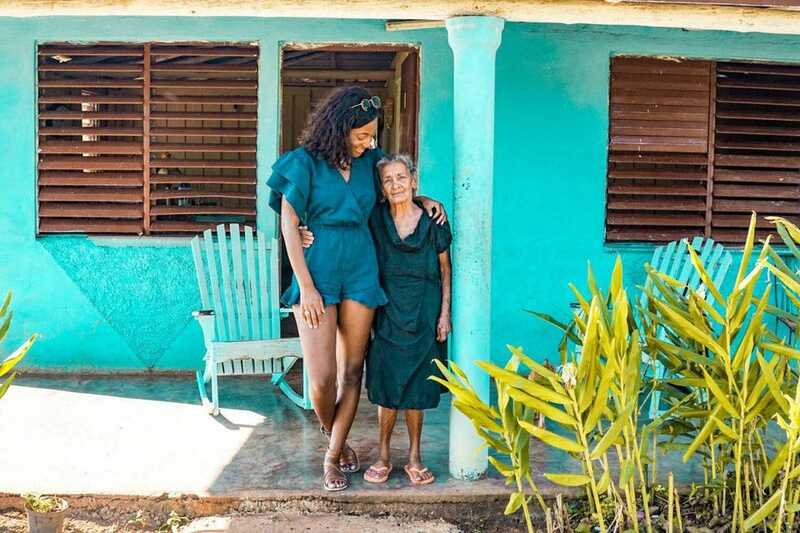 From watching telenovelas with her host to learning about fruits that she didn’t know existed, Johnson says that staying at casas particulares was not only the highlight of her trip, but the experience counted as a form of support for the Cuban people. The system was set up in 1997, when the Cuban government allowed citizens to rent rooms in their homes to visitors. When Obama relaxed restrictions against Cuba, Airbnb capitalized on the existing system, quickly adding 1,000 Cuban listings to their website. But you can still find lodging the old fashioned way: walking around. Hosts paint anchors on their houses. A red anchor means that foreigners are welcome, while blue denotes that there are rooms for Cubans. Be careful about asking too much about politics or putting them on the spot, unless you feel that a real relationship has developed. 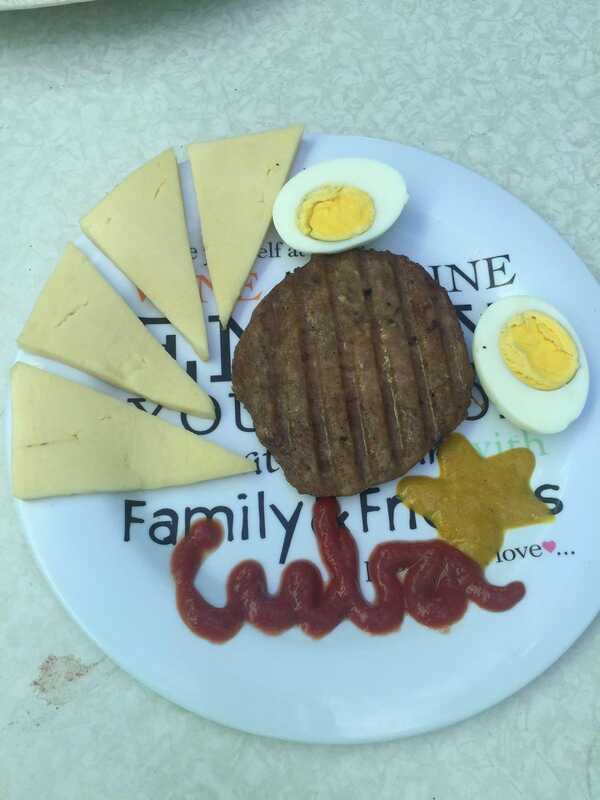 On a recent trip to Cuba, visitors were served hamburgers for breakfast as the islanders thought that was a traditional American breakfast. Photo credit: S Talty. Since a key component of traveling under "support for the Cuban people" is that you need to be interacting with the people, experts recommend hiring a tour guide if you don’t speak Spanish. McAuliff says that a private guide costs around $100 and can be found through TripAdvisor message boards. 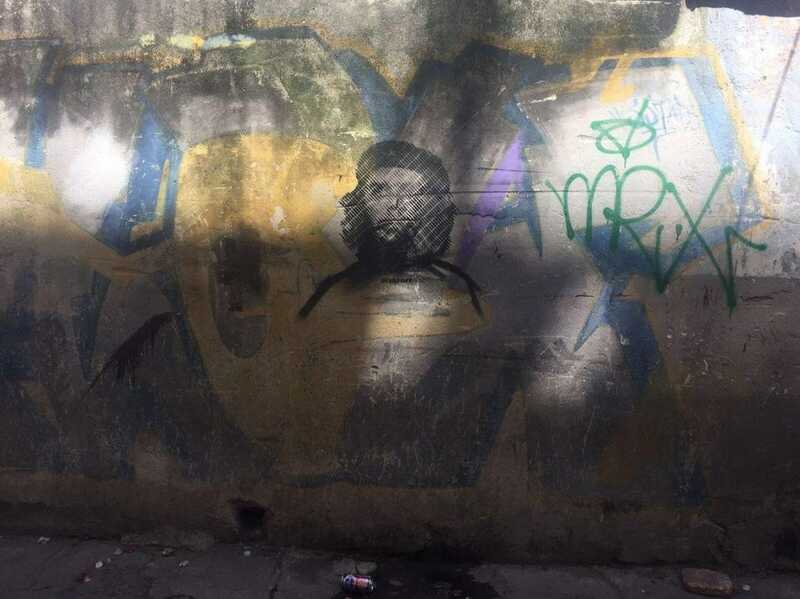 American visitors can see Che Guevara graffiti in Cuba. Photo credit: S Talty. Booking a trip with a tour operator can be a great way for Americans to legally visit Cuba in 2018. Photo credit: Educational Experiences Abroad. If the idea of backpacking around Cuba doesn’t appeal to you, traveling around the country with a tour operator is still a good option. Many of the more distinguished tours have been operating since before Obama loosened regulations, so they are accustomed to tailoring itineraries for the Office of Foreign Assets Control (OFAC) and documenting aspects of the trip. It is their job to keep track of new and changing policies, so you don't have to worry about compliance. “We are continually searching for new programming so you are getting authentic exchanges and not just checking off a box for OFAC,” says Claire Kelly, founder and director of Educational Experiences Abroad. There are many types of Cuban tours available, from traditional ones focused on exploring Havana and Santiago, to marathon tours, cooking class or ones for birdwatchers. In addition to Educational Experiences Abroad, other well-regarded tour operators include Friendly Planet Travel or Cuba Educational Travel. If you don’t like traveling with strangers, many operators are able to make a customized tour for you and a group of friends that would function in a similar way. Alexandra Talty is a writer and columnist, exploring the world on a journalist's paycheck. Follow her adventures on Twitter and Instagram. The U.S. Senate ground to a halt last week, and Cuba was the culprit. After months in limbo, Donald Trump's pick to lead NASA finally appeared to have enough support for confirmation, and a vote was scheduled. Sen. Marco Rubio, who opposed Rep. Jim Bridenstine's nomination because he wanted a non-politician to run the nation's space program, switched his stance, giving Republicans enough votes to move forward with Bridenstine on a party-line vote. But Jeff Flake had other ideas. The Arizona Republican seized the GOP's one-vote advantage over the minority and initially cast a "no" vote on Bridenstine. Vice President Mike Pence was in Florida, unable to hustle to Capitol Hill to break a 49-49 tie. Republican leaders were forced to negotiate with Flake on the Senate floor to get him to change his vote. Flake's reason for dithering? The longtime critic of U.S. trade and travel restrictions with Cuba wanted to talk to Mike Pompeo, Trump's nominee for secretary of state, about travel restrictions to Cuba, according to Senate Majority Whip John Cornyn, R-Texas. "I want to talk to Pompeo on a number of issues, that's all I'll say," Flake said with a smile when asked if he sought to talk to the secretary of state nominee about Cuba travel restrictions in exchange for a "yes" vote on Bridenstine. Flake, a frequent Trump critic, doesn't have much of an incentive to listen to party leaders who could help his reelection chances:. He's retiring after the 2018 elections. That means he can continue to push Senate leaders on issues like Cuba, where the fault lines aren't drawn up neatly along party lines. "My goal has always been the same, of closer ties, more travel, more commerce because I think that moves Cuba closer to democracy, so I'll use any leverage I can to try to bring that about," Flake said. "I'll try to keep the progress and the policies we've made particularly with Cuban entrepreneurs achieving some kind of independence from the government down there that we don't turn them back." But Rubio and Miami Rep. Mario Diaz-Balart last year successfully persuaded Trump to implement new restrictions on U.S. business dealings with the Cuban military, which controls most of Cuba’s economy, and tighter rules for non-Cuban Americans traveling to the island. Flake said "it's doubtful" Trump will make any significant changes to Cuba policy in his favor, and that his conversations with high-level Trump officials like Pompeo about Cuba are about maintaining parts of the Obama-era policy change that weren't completely rolled back by Trump. "I'm just trying to hold some of the progress that we made in terms of Cuban people being more free to run businesses and succeed because Americans are traveling there or remitting money, and we've got to keep that going," Flake said. James Williams, the president of Engage Cuba, a public policy group that lobbies for closer Cuba ties, said the delay tactics used by Flake are similar to legislative maneuvering used for years by pro-embargo lawmakers like Rubio and New Jersey Democratic Sen. Bob Menendez. Williams noted that Rubio and Menendez, despite being in the minority, held up Barack Obama's pick for ambassador to Mexico in 2015 because of the president's support for normalizing relations with Cuba. "You’re seeing what has traditionally been a tactic of the fringe hardliners in Congress being applied by the pro-engagement members of Congress," Williams said. "That speaks to both the moment we're in but how closely divided and important every vote is." Williams said Pompeo, who is likely to be confirmed as secretary of state after several Democrats said they would vote for him, will likely assume more control over Latin American policy than his predecessor, Rex Tillerson, though it's not clear whether Pompeo will change much in Cuba in the short term. "What we saw under Secretary Tillerson was an outsourcing of Latin America policy to Senator Rubio," Williams said. "He decided that he was basically going to politically turn this over to someone else and Rubio took advantage of that, to his credit." The looming 2018 elections, combined with the appointment of Cuban President Miguel Díaz-Canel, means the Cuba issue could live in relative limbo in Congress over the next six months. "It's a bit of a new era, even though its a new government, so we'll see," Flake said, adding that he'll continue to work for more economic cooperation with Cuba even after he leaves elected office. But Williams is hopeful that lawmakers from both parties who want increased trade and ties with Cuba will wield more power in Congress after the 2018 elections. Miami Rep. Ileana Ros-Lehtinen, the longest serving Cuban-American in Congress, is retiring and leadership in the House of Representatives is set to change regardless of which party takes control of the lower chamber, after Speaker Paul Ryan announced his retirement. "Our biggest challenge, candidly, is we have a majority in both parties but leadership won’t give us the floor time for a vote," Williams said. "If we had a leadership who gives us the opportunity this stuff would pass. It’s hard to imagine why Cuba would be held to a different standard than North Korea or Saudi Arabia." HAVANA — Raul Castro's time in office has seen dramatic changes in Americans' ability to travel to Cuba, with a dramatic opening under U.S. President Barack Obama, then a partial reduction under President Donald Trump. Before former President Barack Obama launched detente with Cuba in December 2014, most Americans without family ties to Cuba could travel to the island only on expensive guided tours dedicated to full-time "meaningful interaction" with the Cuban people and — in principle at least — avoiding activities that could be considered tourism, which is illegal under U.S. law. "People-to-people" tour companies needed special licenses from the U.S. Treasury Department and were regularly audited and faced steep fines or loss of licenses for allowing travelers to engage in tourism. In Cuba, U.S. tour companies were required to contract guides, tour buses and hotel rooms from the Cuban government, meaning U.S. travelers were effectively under the constant supervision of the government. As a result, they were often presented with activities and talks favoring Cuba government positions on domestic and international issues. Obama eliminated the tour requirement, allowing Americans to travel to Cuba on individual "people-to-people" trips that were in reality indistinguishable from travel to any other country in the world. Travelers were legally required to maintain logs of their "people-to-people" schedules, but the Obama administration made clear it would not enforce the requirement. Online lodging booker Airbnb was allowed into Cuba and commercial flights between the U.S. and Cuba resumed after more than half a century. As a result, U.S. travel to Cuba roughly tripled by the time Obama left office. U.S. travelers engaged in what amounted to illegal tourism, but also pumped hundreds of millions of dollars into independent restaurants and bed-and-breakfasts that drove the growth of Cuba's nascent private sector. Trump re-imposed the requirement that "people-to-people" travelers could only come to Cuba with heavily regulated tour groups. 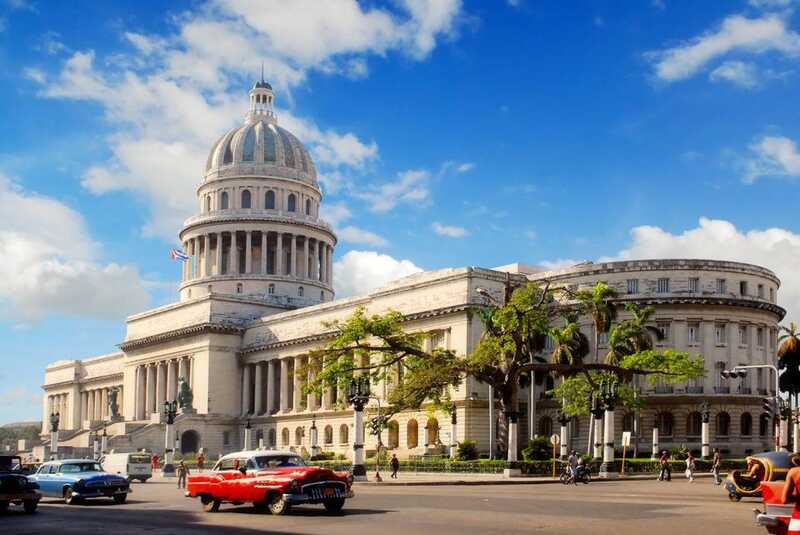 Many Cuban entrepreneurs have seen reductions in the numbers of American travelers, whose business allowed many private Cuban businesses to flourish after the start of detente. The policy also banned most American financial transactions with the military-linked conglomerate that dominates much of the Cuban economy, including dozens of hotels, along with state-run restaurants and tour buses. Most individual American travelers ignore the ban or are unaware of it, and tour groups have found myriad ways of doing business with the Cuban government while respecting the letter of the regulation, for example by doing businesses with the Tourism Ministry and other organizations without direct military ties. Individual American travelers are still legally able to go to Cuba for the purpose of supporting the Cuban people, a category that includes helping human rights organizations and non-governmental groups meant to strengthen democracy and civil society. * In real terms, this sort of travel is largely undistinguishable from people-to-people trips, with Americans visiting the same private businesses, organic farms and musical venues they did under Obama. Cuban government figures show that 2017 was a record year for tourism, with 4.7 million visitors pumping more than $3 billion into the island's otherwise struggling economy. Most were Canadians, Cuban-Americans and Europeans, who face no restrictions. Still, the number of American travelers without family ties topped 600,000, more than six times the pre-Obama level. But amid the boom — an 18 percent overall increase over 2016 — owners of private restaurants and bed-and-breakfasts reported a sharp drop-off. In large part that's because much of the American travel since Trump's regulation has been in cruise ship passengers, a form of travel that the new administration did not restrict. Cruise ship passengers spend all or nearly all of their time in Cuba in activities organized by the Cuban government. That means that so far, Trump's regulations are steering money into the hands of the Cuban government and away from private businesses, the opposite of their intended effect. An indicator of qualification, although not an absolute requirement, is staying in a casa particular. The success of Miguel Diaz-Canel as President of Cuba will depend on how soon rationality returns to US policy at least as much as on the amount of real power his generation has in the Party, military and economy. The two things are related as Cold War bluster from Washington reinforces the power of the old guard (and not incidentally strengthens the Russian hand). I met Diaz-Canel when he was Minister of Higher Education. We had rented a booth at Universidad 2012, a very large international congress that takes place every two years in Cuba. We were the first, and until 2016, the only US organization to do so. Our booth had attracted a lot of attention from representatives of specialized and regional universities. On the second day, a large group appeared in front of the booth. It was Diez-Canel walking the exhibition hall, accompanied by staff, a couple of TV cameras, and his wife, Lis Cuesta Peraza, an assistant professor at the University of Havana and director of Academic Services at Paradiso, the tourism agency of the Ministry of Culture. I felt some foreboding as the Minister had been quoted by the press about a year before in a public speech warning of the subversive intent of US universities that wanted to have programs in Cuba. He was very warm in his greeting, expressed appreciation of my presence and invited me to come to a reception he was hosting that evening. He was quite amenable to have pictures taken in front of our booth and banner. When I went to his reception, I told the Minister that his key note speech the night before about the character and value of international educational exchange would have been received well by counterparts in the US and Europe. In fact if you took out his specific references to Cuba, it would be hard to know where he was Minister. He laughed in acknowledgement. Two years later after he had become Vice President he came only to the outdoor reception that followed the adjournment of the congress. He and his wife walked through the crowd enjoying the music of Los Van Van, working it like a US politician. He responded readily to the many people who came up to them and asked to have pictures taken together. His comfortable informality and accessibility suggests a different personal style than the retiring generation of Cuban leaders. Accounts by western journalists of his tenure in Santa Clara and Holguin lead to a similar impression about his persona as well as about the innovative ways he addressed problems as a Provincial leader. Starting a business anywhere in the world is always like “swimming upstream,” says the entrepreneur behind a popular Havana restaurant. But if you’re trying to navigate the private sector in Cuba, it’s like being “in a boat without oars in a current twice as turbulent,” said Sasha Ramos, the owner of El Cocinero, a restaurant located in an old brick cooking oil factory. With a fashionable rooftop bar and small plate specials, El Cocinero could be at home on South Beach. But because the restaurant is in Cuba, it’s difficult to get enough of the same kinds of plates, glasses and cutlery so the place settings match, said Ramos, one of the entrepreneurs interviewed in a new nine-part documentary series on Cuba’s private sector. The series, StartupCuba, premiered Tuesday on VERV.tv, a new digital media company for the U.S. Hispanic market, and also may be watched at YouTube.com/startupcuba. After a two-week hiatus, new eight-minute episodes — on topics such as private cab drivers and mechanics; internet entrepreneurs; independent designers and artists; budding restauranteurs and bed and breakfast hosts; and entrepreneurs finding a niche in providing services to private businesses — will be released weekly on Tuesdays. Independent artist Hector Pascual Gallo Portieles, known simply as Gallo (Rooster) has created a world of art from found objects. VERV.tv’s mission is to bring U.S. Hispanics news they may not have heard about, and the emergence of Cuba’s entrepreneurial sector was one of those stories, said Ken Deckinger, executive producer and host of StartupCuba. Even though Cuba continues to be run by the Communist Party, things are happening on the island and entrepreneurs “are indisputably changing their lives, and possibly their country, as they build their businesses,” he said. The inspiration for the series came in June 2015 when Tamara Park, executive producer and director of StartupCuba, made her first trip to the island. “I’ve sought out stories on transformation and change on five continents and I was just blown away by Cuba’s entrepreneurs. Many of the new entrepreneurs grew up in the 1990s during a period of scarcities following the collapse of the former Soviet Union when Cubans learned to survive by working with what they had, and they have translated those skills to their businesses. Because independent magazines aren’t allowed in Cuba, Robin Pedraja created Vistar, a digital magazine delivered via el paquete, another Cuban invention in the absence of widespread home internet connections. El paquete is a weekly compilation of American TV shows, recent movies, MLB games, apps, digital magazines and more that is copied and distributed on portable hard drives and USBs across the island. “The cuentapropistas (the self-employed) are actually starting industries such as advertising and marketing” that haven’t existed in Cuba in many years, said Park. Shoppers pay for merchandise at Clandestina's store/workshop in Havana. Clandestina, which is featured in Startup Cuba, could be considered Cuba's first private fashion brand since the revolution. StartupCuba was shot between March and September last year — without official permission from the Cuban government. The producers tried to get journalist visas but never heard back from officials. “Finally we just went for it,” said Park. Despite the creativity and enthusiasm of the entrepreneurs in the series, StartupCuba debuts at a time of uncertainty for Cuba’s more than 540,000 cuentapropistas. Last summer, Cuba began cracking down on some businesses suspected of improprieties and shut down several popular private restaurants. While new regulations are formulated, the government has stopped issuing new licenses for private restaurants, bed and breakfasts (casas particulares) and for several other approved categories of self-employment. Licenses had been issued to 2,000 private restaurants and there were around 22,000 rooms offered in casas particulares at the time new licenses were frozen. Cuban leader Raúl Castro, who began emphasizing cuentapropismo in 2010 as a way to move hundreds of thousands of workers off bloated state payrolls, has said self-employment is now essential. But government officials appear willing to only tolerate it to the point that private entrepreneurs don’t become too successful or too wealthy. With Castro expected to retire next week and to pass the reins of power to a new president selected by the National Assembly, Cuba’s parliament, it will fall to his successor to oversee the new rules for entrepreneurs. StartupCuba’s producers will be watching those developments carefully. They’re considering a second season of the show and will be traveling to Cuba next week to throw a party for those they met in the cuentapropista community.